TAMPA, Fla. — U.S. 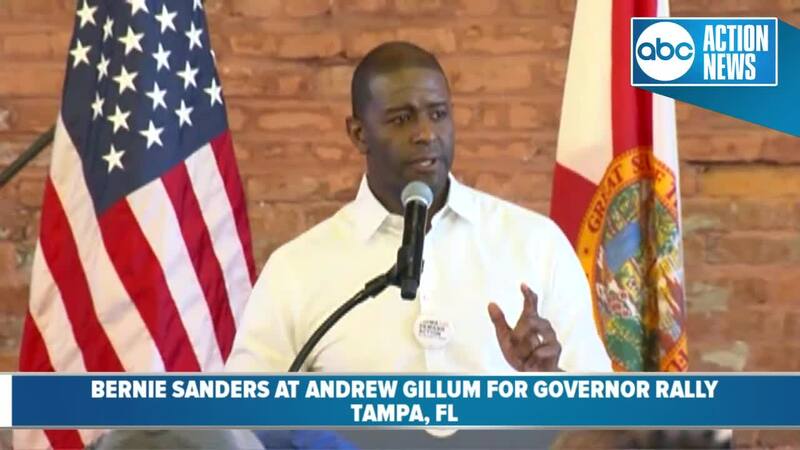 Senator Bernie Sanders rallied with gubernatorial candidate Andrew Gillum in Tampa on Friday. 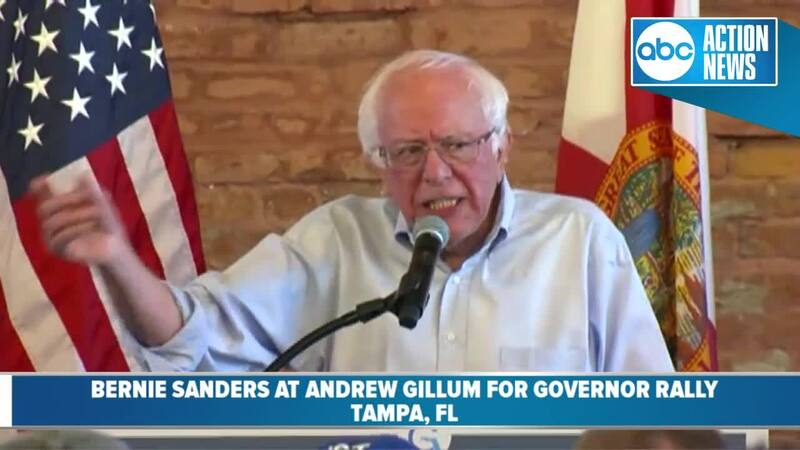 "I thank you all for being here to make history and to make certain that the state of Florida is gonna move in a very different direction," Sanders said to cheers at the rally, "and that we are going to elect this man as the next governor of this state." Gillum, the Mayor of Tallahassee, is running as a Democratic candidate for Florida Governor. Both men spoke on the issues Gillum is campaigning on — like repealing Stand Your Ground, Medicare for All and solar energy production. "We believe that stand your ground has no place in civilized society," Gillum said while referencing the recent shooting in Clearwater. "We have to vote like our lives depend on it," Gillum said. "Because if you are Markeis McGlockton, in Clearwater, Florida your life does depend on winning these elections." 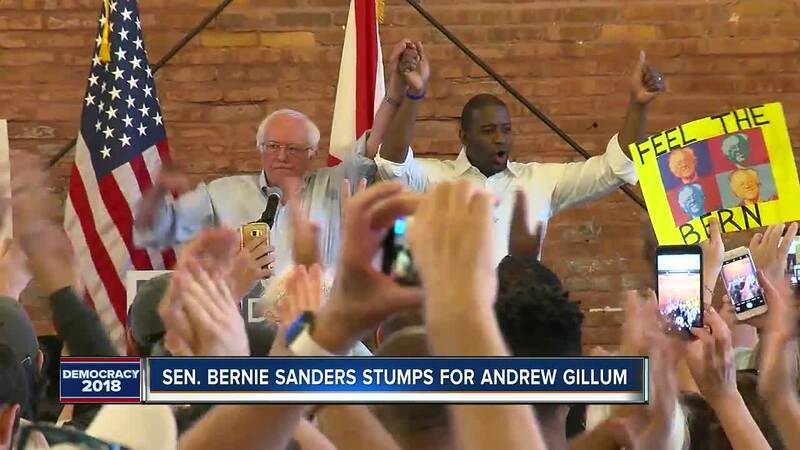 Sanders is endorsing Gillum and spoke about his ability to win with the people on his side. "Andrew can win this fight, he can win it," Sanders said. "He may not have the money but he has the people." Sanders wrapped up encouraging people to vote, "Our job, your job, in the next couple of weeks is to make sure those people come out to vote."